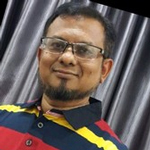 Reza, AHM Sultanur, an entrepreneur after serving for 27 years in ICT and Telecom industries. He is the Founder Director of ClicknCare- an initiative taken by Simple Motion Sdn Bhd to create a healthcare platform for the Migrant Workers around the world. The main idea behind this to make it easy for Migrant of any country to find his/her own local doctors with whom they can consut without any barriers. It also addresses the issues of Health access for all at a reasonable cost anytime anywhere. The platform is unique and first of its kind in the whole world. Prior to become a Start-up entrepreneur, Reza served in different capacities with Telenor- Norwegian Mobile Company, in Bangladesh and Myanmar where he executed several ICT4D projects using the mobile internet and Broadband technologies. He pioneered the Tele-medicine projects in Bangladesh and mHealth initiative in Myanmar. Reza has diversified experience in serving many organizations such as Bangladesh Civil Services, International Organizations and NGOs, National Big Conglomerates and Corporate Organizations. He has great skill with Project Management, Partnership Management and Collaborations. He has presented number of papers and has been panelist at national and international seminars and conferences. He holds a Bachelor of Technology degree in Electronics and Communications Engineering from the National Institute of Technology, Warangal, India. He later completed his Commonwealth Executive MBA from the Open University of Bangladesh.